Das weltweit stark wachsende Interesse an zeitgenössischer koreanischer Kunst lässt sich in den letzten Jahren an der steigenden Präsenz in Museen, Galerien und auf Auktionen ablesen. Die junge koreanische Kunst ist vielfältig und voller Dynamik. Eine umfassende Darstellung dieses zentralen Kunst-Trends hat bislang jedoch noch gefehlt. In diesem reich bebilderten Band in modernem Layout werden die angesagtesten 30 Künstler aus Südkorea mit ihren Werken im kulturellen Kontext vorgestellt. This unique survey examines the contemporary art scene in Korea, which is one of the most dynamic and least known areas of the contemporary art world. The works of today's Korean artists are rarely found between the pages of any general art book, yet they ahve become a major force in the global art world. Korea is rich with internationally renowned painters, photographers, and multi-media artists. 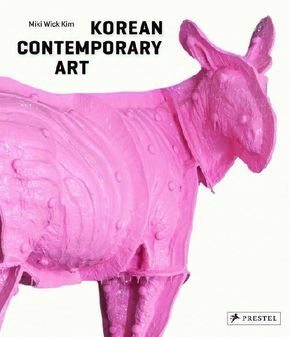 This book features Korea's most talented and prolific artists and their works, from the powerful and grand-scale installations of Do Ho Suh and the eye-popping sculptures of Choi Jeong-Hwa to the minimalist performance of Kimsooja, and the intellectually challenging videos and sculptures of Michael Joo. The artists' diverse bodies of work often deal with issues relating to tradition, politics, society, alienation, identity, and popular culture. This generously illustrated and engagingly written volume offers a concise introduction to the world of contemporary Korean art.